Frost & Sunburn. 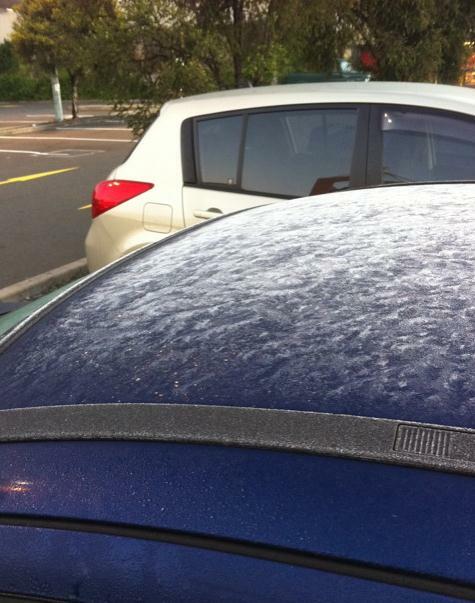 Residents from White Bear to Stillwater to Menomonie, Wisconsin are waking up to a little patchy frost this morning. Hard to believe sunburn is in the forecast later today. I was reminded of a valuable (and painful) lesson on Sunday, when I spent 7 hours in the sun, with no sunscreen. Duh. The capacity to tan (or burn) has NOTHING to do with the air temperature - and everything to do with the current date and sun angle. Right now, with the Summer Solstice about 5 weeks away, the sun is just about as high in the sky as it ever gets. Yes, you can get a sunburn with an air temperature in the 40s or 50s. It's all about the DATE! Crystal Clear Monday. NASA's MODIS "Terra" satellite, in low orbit, showed an utter lack of "weather" across the Twin Cities metro area Monday. 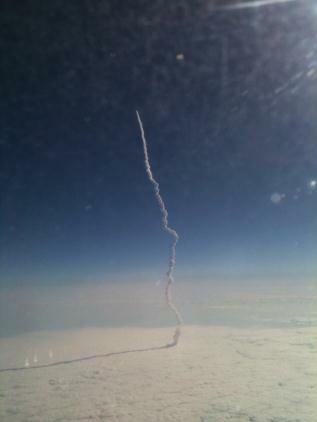 Unlimited visibility, a cloudless sky. This is what MSP looks like from a perch roughly 210 miles above Target Field. Frost - In Mid May? 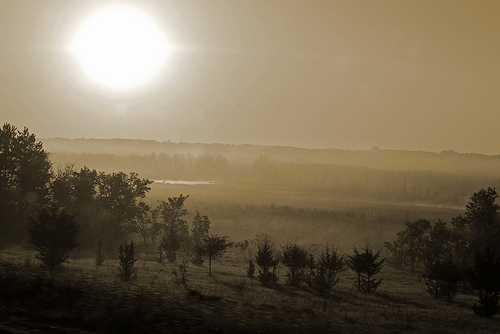 Here's a twitpic photo taken in central Minnesota early Monday. Hard to believe the Summer Solstice is 5 weeks away. Last Frost Of Spring? 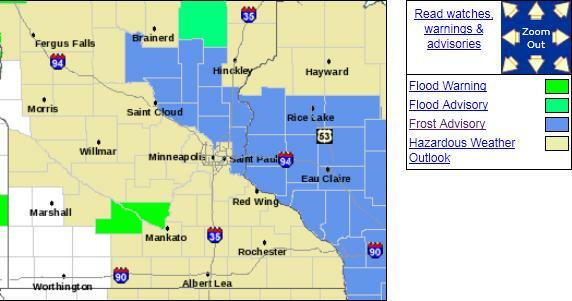 Yes, I'm a naive optimist, but I suspect, I hope, I PRAY this is the last time you have to see blue counties on the NWS map. The best chance of early morning frost will come north/east of the MSP metro area, a much better chance of frosty daffodils east of the St. Croix. Significant Sunburn Potential. Did you wind up with a "rosy glow" on Sunday? All of us have been so sun-starved that we flocked outside Sunday to soak up the sun. Many (including myself) forgot the sunscreen, and lived to regret that decision. People are always incredulous when they get a painful burn (with air temperatures in the 50s to around 60). It's worth repeating: the potential to tan (or burn) has NOTHING to do with air temperature, and everything to do with the current date and sun angle. The Summer Solstice is roughly 5 weeks away - the sun is about as high in the sky as it ever gets, and that increases the potential for a painful burn. 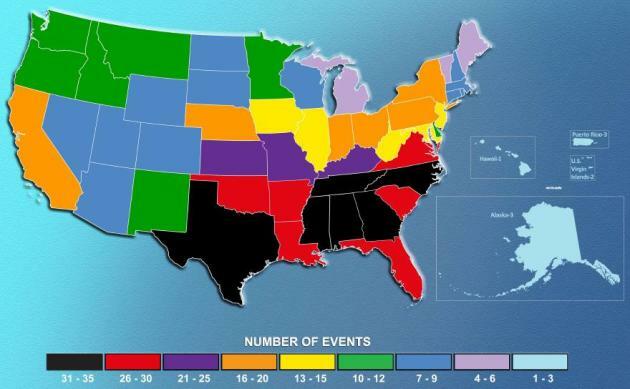 The Mayo Clinic has a good overview on sunburn here. More info on sunburn (probably more than you ever wanted to know) from leadlifeinfo.com: "Regular exposure to the sun causes Sunburn. 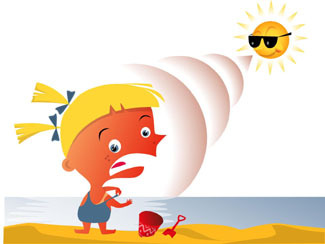 Sunburn happens when the skin is exposed to ultraviolet rays. It can happen to anyone who is working extensively in the open and is directly exposed to the sun. 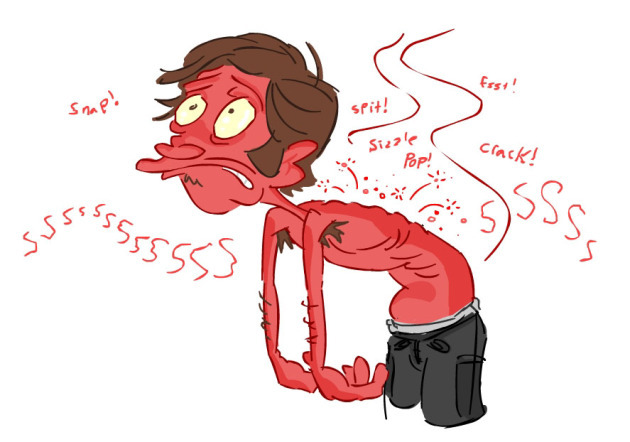 Everyone has suffered from sunburn or may suffer from it while working at some point of time. Pigment is the melanin that is supposed to protect the skin from ultra violet rays but when it fails to do so, it causes sun burn. It can happen while enjoying at the beach or during fishing." Next Chance of Showers/T-storms. The models keep us dry through Thursday, but a slow-moving storm shoves a pinwheel of showers and storms into Minnesota during the day Friday, a few pop-up, hit-or-miss showers and T-storms lingering into the weekend. At least it will be mild: highs in the 70s. It's still too early to know if any of the late week/weekend storms will turn severe. Dynamics aloft should be relatively weak, but I wouldn't be surprised to see a few isolated reports of hail and high winds from midday Friday into Sunday evening. Late Week Thunder. Dry weather prevails through Friday night - the models bring a few waves of showers and heavier T-storms into town late Friday, again late Sunday. Unlike last Saturday's (miserable) stratiform rain, this weekend should bring convective, showery rains, a couple hours of rain possible each day. Highs in the 70s to near 80 should make any puddles a bit more tolerable. Record Water For A Mississippi River Town. The New York Times documents the travails of Vicksburg, Mississippi, in the path of the "Great Flood of 2011": "VICKSBURG, Miss. — Late Sunday morning, as the Mississippi River was rushing faster and higher past this town than it has in 183 years of record-keeping, Dontaye Buck was sitting perfectly still. He was staring at a calm puddle of water in which his house sat. A man standing beside Mr. Buck’s mailbox was casting a fishing line into a neighbor’s yard. “It never came this far,” said Mr. Buck, a 21-year-old college student. “The farthest it ever came was the backyard of that house back there.” The city of Vicksburg sits safely on lofty bluffs, except where it does not. The Kings neighborhood, where Mr. Buck lives in the north part of town, is one of the places where it does not. Sunday in Kings was, for the most part, as it is in any other neighborhood, full of lawnmowers, barbecues and men standing around talking about nothing in particular. The difference was the muddy lake that was slowly consuming the neighborhood from the back. Variances in elevation that would have gone unnoticed a few weeks ago now separate those who are nervous but dry from those whose houses are submerged nearly to the eaves. 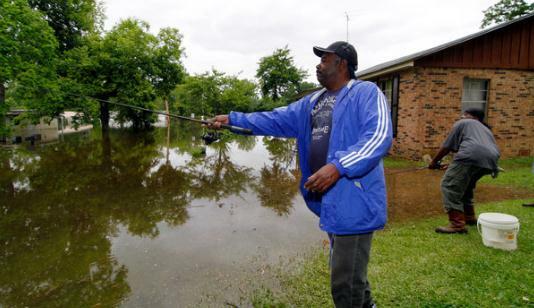 The water was not rising, residents said, so much as it was spreading, quietly. And the river that had pushed the water here was churning ferociously." The Great Flood of 2011 From Space. NASA's Terra satellite image (250 meter resolution), taken midday Monday, shows the Mississippi River out of its banks across much of Mississippi and Louisiana. What's ironic, in a tragic sense, is that the diverted Mississippi is flowing through a region of "exceptional drought" gripping much of western and central Louisiana. Unprecedented Floods On The Mississippi, In Columbia, And Canada. Jeff Masters has an interesting post in his Wunderblog, focusing on a 1 in 300 year flood in Canada, and another year of severe flooding in Columbia, where rainfall amounts have been 5 to 6 times their normal amounts (32" in some regions in just the last 2 weeks), as well as a recap of historic flooding on the Mississippi River: "The great Mississippi River flood of 2011 continues to make history, with Saturday's opening of the flood gates of the Morganza Spillway marking just the second time that flood control structure has been used since its construction in 1956. With the Morganza, Bonnet Carre', and Birds Point-New Madrid Spillways all open, the Army Corps of Engineers has now opened all of its major spillways simultaneously for the first time ever. The Mississippi is rising at Vicksburg, Mississippi, where the water has now reached 56.5', exceeding the previous all-time record of 56.2', set during the great flood of 1927. 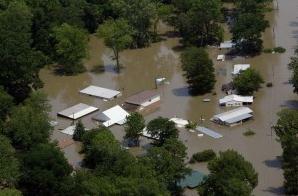 Natchez, Mississippi, is also at its greatest flood height on record, with the water at 60.6'. The previous record high was 58', set in 1937. 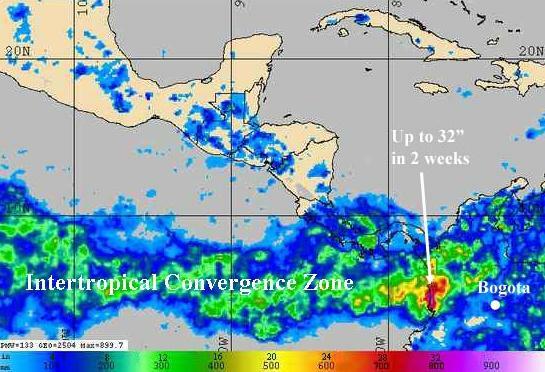 However, the opening of the Morganza spillway has reduced the predicted heights of the great flood of 2011 from Natchez to New Orleans by 1 to 1.5'....Devastating flooding has hit South America in Colombia, where exceptionally heavy spring rains have killed at least 425 people so far this year, with 482 others missing. Damages are in the billions, and there are 3 million disaster victims. "Some parts of the country have been set back 15 to 20 years", said Plan’s Country Director in Colombia, Gabriela Bucher. "Over the past 10 months we have registered five or six times more rainfall than usual," said the director of Colombia's weather service, Ricardo Lozano." 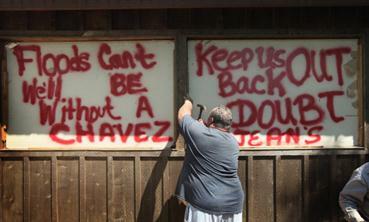 Alabama Tornadoes: Small Businesses Struggle Against Storm's Punch. Al.com has a story about the disruption to businesses across the Birmingham area from the April 27 tornado swarm: "BIRMINGHAM, Alabama -- Birmingham area small businesses, already struggling to recover from the deepest downturn since the Great Depression, now must cope with the harsh legacy of devastating tornadoes that wrecked communities and disrupted commerce. Some owners saw their businesses destroyed or damaged and wonder how they will put things back together. Aquil Abdur-Rasheed is one of them. When he opened Muzik N More in Five Points West a few years ago, he already had to contend with the fact that consumers affected by the downturn had cut back on buying CDs or had moved to downloading music. In January, Abdur-Rasheed got a boost by relocating to a higher-profile space in a shopping center at 1401 Third Ave. West. Then came April 27 and winds that ripped part of the roof off the building that housed his record store and other businesses. The timing couldn't have been worse: Abdur-Rasheed was coordinating a community block party in the parking lot scheduled for two days later meant to show off businesses there. "The relocation was going well, but that storm dealt me a strong blow," said Abdur-Rasheed, who estimates he lost about $10,000 in clothing and music merchandise from rain damage. "This is my sole source of income." Muzik N More is among hundreds of businesses in the metro Birmingham area, and thousands across the state, affected by violent storms that could end up being Alabama's most costly natural disaster, with losses topping $2 billion." Chris Darden, Meteorologist In Charge of The Huntsville Weather Service Office, Describes What Happened During the Tornado Outbreak. Here's a behind the scenes look at what REALLY happened when EF-4 and EF-5 tornadoes were on the ground in the Huntsville, Alabama area on April 27. The meteorologists knew that potentially unsurvivable tornadoes were on the ground, ripping up neighborhoods nearby - yet they had to keep their cool, try to block out their own families, friends and colleagues, and get the latest warnings out to the public. A fascinating read from the Huntsville Times and al.com: "HUNTSVILLE, Alabama. 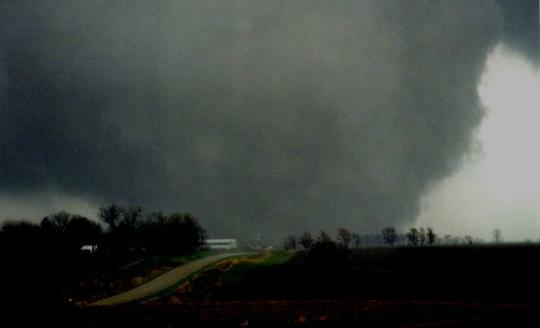 On April 27, an unprecedented natural disaster unfolded before us as well over a dozen tornadoes raked the area. Not since 1925 has the loss of life been so great in a single day by tornadoes. In a blink of an eye, well-constructed homes were turned to rubble, trees were stripped of their bark, and churches and businesses were taken to the ground. The National Weather Service has a mandate to protect "life and property," and we have worked diligently to do so for over a century. Technology has increased greatly in recent decades with Doppler radar technology allowing forecasters to view the wind flow and rotation within storms, high-resolution satellite imagery that shows fronts and other features critical to tornado development, and computer models that better predict the evolution of weather in the upcoming days. In the days preceding what is now referred to as the Super Outbreak, meteorologists became increasingly concerned about this being the "big one". Conditions, including intense wind shear, an unstable air mass, a surge of moisture from the Gulf of Mexico and a powerful storm system were coming together to produce an explosive environment for supercell thunderstorms. Supercell thunderstorms are the genesis for long-lived, devastating tornadoes. A review of the forecasts, discussions and posts on social media in the days before the 27th reveal many forecasters comparing the setup to the outbreaks of Nov. 15, 1989, or "Anderson Hills '95." Sadly, even those dire predictions were well below reality. In fact, this event will go down as the most tragic tornado outbreak in modern times and will likely be the benchmark upon which all future research is constructed." Are You Prepared For The Worst? Porfolio.com has a good overview of the threat natural disasters pose to businesses, large and small, steps you can take to make your company more resilient in the face of floods, tornadoes, hurricanes and other weather-related headaches: "An unforeseen disaster closes your business. The clock is ticking, but you may not realize how urgently: Unless you reopen within five days, chances are you never will, according to the U.S. Small Business Administration (SBA). Ninety percent of businesses that don’t reopen within that time frame fail. If you want to beat those odds, you need a business continuity plan that you’ve communicated to all stakeholders and practice regularly. These government agencies can help. Billion Dollar U.S. Weather Disasters. 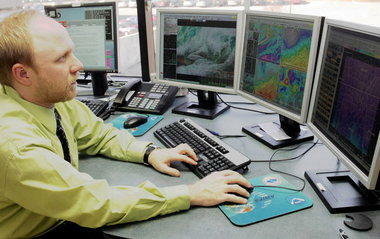 NCDC, the National Climatic Data Center in Asheville, North Carolina, keeps tabs on major weather-related disasters. 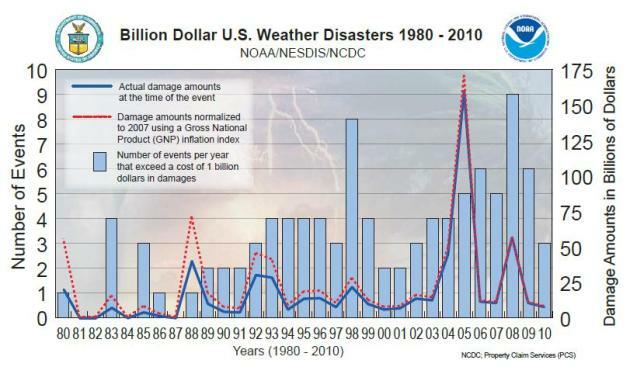 From 1880-2010 there were a total of 99 billion dollar weather disasters. Hurricanes lead the list, followed by severe thunderstorms, then flooding. More from NCDC: "The U.S. has sustained 99 weather-related disasters over the past 31 years in which overall damages/costs reached or exceeded $1 billion. The total normalized losses for the 99 events exceed $725 billion. Events are listed below beginning with the most recent. Two damage figures are given for events prior to 2007 - the first figure represents actual dollar costs at the time of the event and is not adjusted for inflation. The value in parenthesis is the costs normalized to 2007 dollars using a GNP inflation index. These statistics were taken from a wide variety of sources and represent, to the best of our ability, the estimated total costs of these events---that is, the costs in terms of dollars and lives that would not have been incurred had the event not taken place. Insured and uninsured losses (directly related to the event) are included in damage estimates, and direct plus indirect deaths (i.e., closely related to the event, would not have occurred otherwise) are included in fatality totals. Economic costs are included for wide-scale, long-lasting events such as drought." One Nasty-Looking Map. 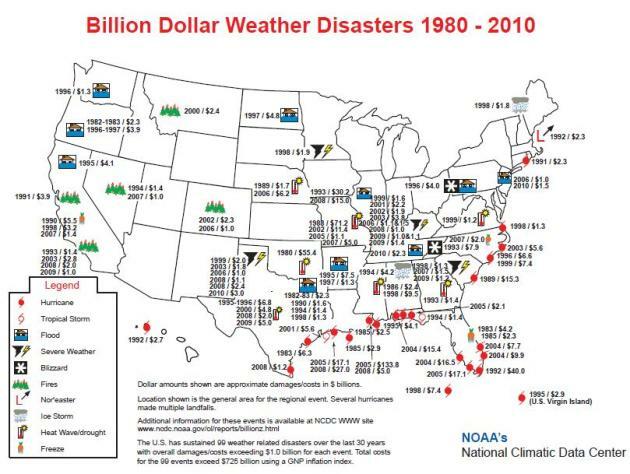 Here are the billion dollar weather disasters since 1880. 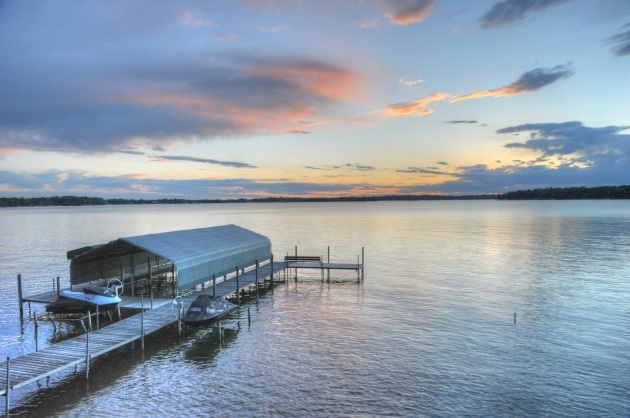 The only billion dollar disaster in Minnesota was the nearly $2 billion in hail damage during 1998, an especially severe summer across the state. Click here to see a close-up PDF of this map, courtesy of NCDC. Getting Stormier? I'm no rocket scientist, but I think it's possible to discern some obvious trends in billion dollar weather disasters since 1980. Some of this may be land use and urbanization: more people moving to the coast, in the path of hurricanes, more homes in the flood plain, what was farmland 40 years ago is now subdivisions, so when tornadoes touch down damage and injury is more likely. To some degree we've become a nation of "sitting ducks". But keep in mind the amount of water vapor in the air has spiked 4% in just the last generation - more fuel available for storms of all shapes and sizes, according to climate scientists. That may be as big a factor as population growth and land use. Click here to see the NCDC map showing trends since 1980. Moon Halo. Spaceweather.com has a superb photo and solid explanation of a fairly rare phenomenon: "According to folklore, tonight's waxing full Moon is the "Flower Moon." It gets its name from northern spring flowers, which bloom in abundance during the month of May. Watch the Moon rise in the east at sunset and you might notice something else in bloom--an icy moon halo. Peter Rosén sends this example from Stockholm, Sweden. "The sky was very dramatic when this halo appeared on May 14th," says Rosén. He was so inspired that he took ten pictures and stitched them together into a beautiful panorama. Moon haloes appear when moonlight shines through cirrus clouds filled with ice crystals even more abundant than spring flowers. 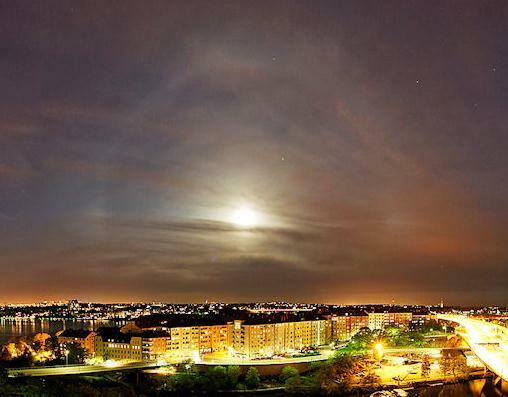 The brighter the Moon, the brighter the halo, so any haloes around tonight's full Moon could be impressive indeed. Be alert!" Mammatus Over Minnesota. Speaking of one of my favorite sites, spaceweather.com, check out this terrific example of mammatus, which usually form underneath thunderstorm anvils. These "ice cream scoop" clouds indicate the presence of hail in the thunderhead: "On May 10th, a severe storm captured national attention when it dumped golf-ball-sized hail on a Minnesota Twins baseball game. "I missed the hail," reports John Rogers of New Hope, Minnesota, "but I got a nice view of the clouds that formed after the storm passed." 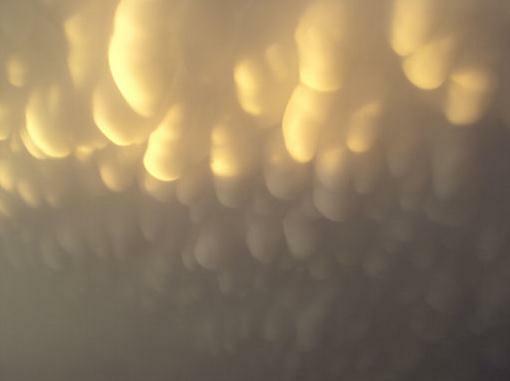 He snapped this picture in waning twilight at 8:30 pm local time: These are mammatus clouds. Named for their resemblance to a cow's underbelly, they sometimes appear at the end of severe thunderstorms when the thundercloud is breaking up. Researchers have called them an "intriguing enigma," because no one knows exactly how and why they form. The clouds are fairly common but often go unnoticed because potential observers have been chased indoors by the rain. If you are one of them, dash outside when the downpour stops; you could witness a beautiful mystery in the sky." 7th Warmest April On Record. In spite of a lingering La Nina (which has a cool bias across most of North America, the planet experienced the 7th warmest April on record, according to NOAA. Details: "The Earth experienced the seventh warmest April since record keeping began in 1880, as the climate phenomenon La Niña continued to be a significant factor. April’s annual Arctic sea ice extent was the fifth smallest since record keeping began in 1979, while the Antarctic sea ice extent was the fourth smallest. 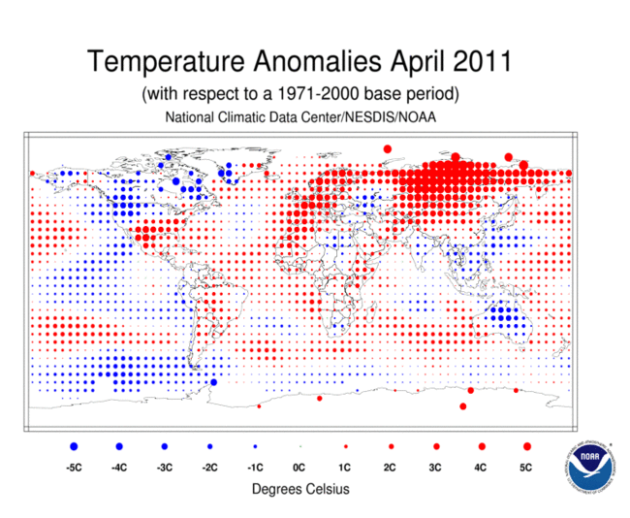 The monthly analysis from NOAA’s National Climatic Data Center in Asheville, N.C., is part of the suite of climate services NOAA provides government, business and community leaders so they can make informed decisions." Skype-Style Calls Force Wireless Carriers To Adapt. 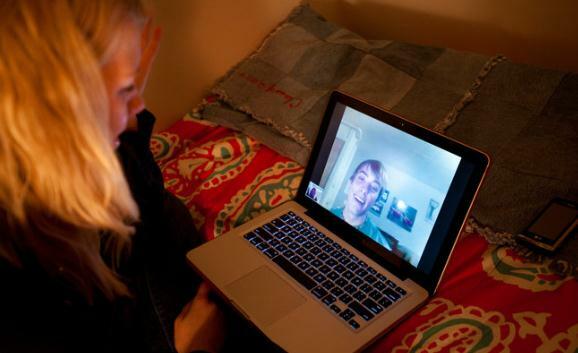 Do you Skype? It's an affordable way to keep in touch with friends (and colleagues) - and it's cutting into the bottom line of the Verizons and AT&T's of the world, according to a story in the New York Times: "Today, long-winded talkers need to worry about running out of minutes on their cellphone plans. But someday there will be no minutes to run out of — just megabytes. Wireless carriers now funnel voice and data traffic over two separate networks and charge customers accordingly. In the not-so-distant future, analysts and industry executives say, all mobile services, including text messages and voice and video calls, will travel over data networks. Microsoft’s recent $8.5 billion deal to buy Skype, the Internet calling service, could accelerate this change — one that is forcing wireless carriers to adapt. Services like Skype can cut into the carriers’ revenues because they offer easy ways to make phone calls, videoconference and send messages free over the Internet, encroaching on the ways that phone companies have traditionally made money. The telecommunications industry is already in a state of flux as more people disconnect their home telephone lines in favor of cellphones. Now the wireless carriers are looking for new ways to make money based on mobile broadband and applications, rather than voice minutes." Camel Attack! If you missed this clip it's worth seeing, courtesy of WWBT-TV and Media Bistro. 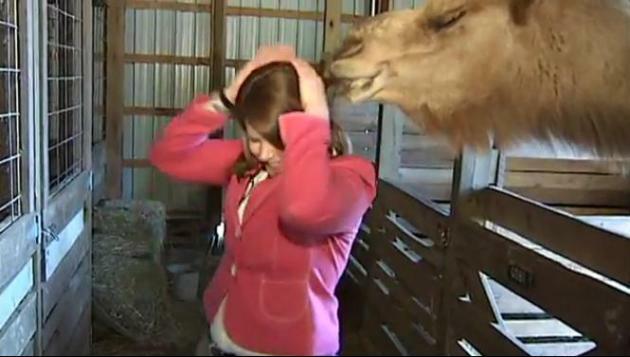 Yes, live shots can be very unpredictable: “Why are you eating my hair?” WWBT general assignment reporter Tara Morgan asked a camel who had just attacked her during a stand-up shot (video above). Maybe the camel was trying to get famous. The blooper video has been bouncing around online over the past week, landing the reporter and the camel on “Inside Edition” and “Jimmy Kimmel Live” and raising the profile of Morgan, who has been with WWBT since 2002. While there are plenty of instances of local news gaffes becoming viral hits, the camel video is unique in that it’s being heavily promoted by Morgan as well as the station. WWBT posted the footage to YouTube, emphasizing that it is the “Official Video” and urging viewers to comment about it on the station’s Facebook page. And while Morgan has been using Facebook and Twitter for quite some time, a quick look at her pages on both social networks show that the camel video has sparked a big increase in her interaction with viewers." 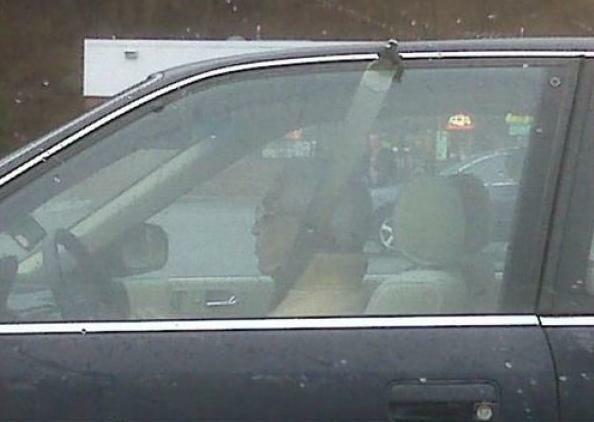 Broken Seat Belt? I can fix that. 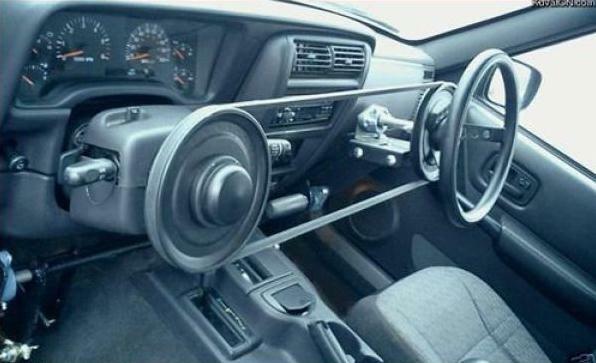 Car Imported From The Wrong Country? I can fix that. 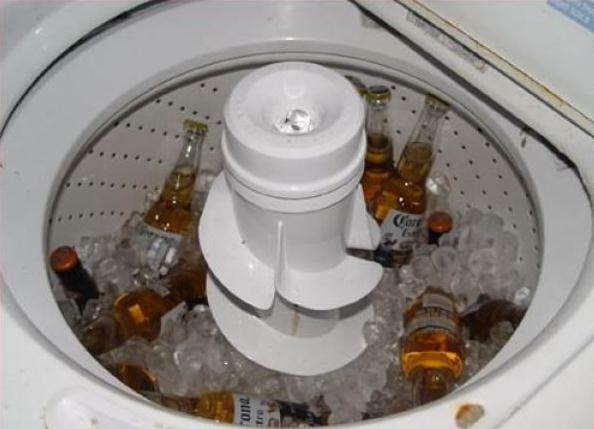 No Ice Chest? I can fix that. 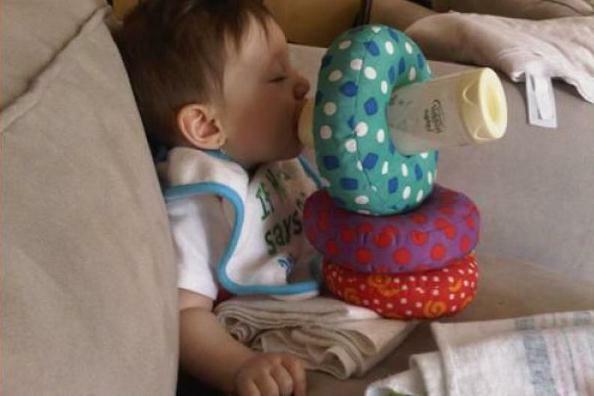 Gotta Feed The Baby AND Do The Laundry? I can fix that. Display Rack Falling Over? I can fix that. 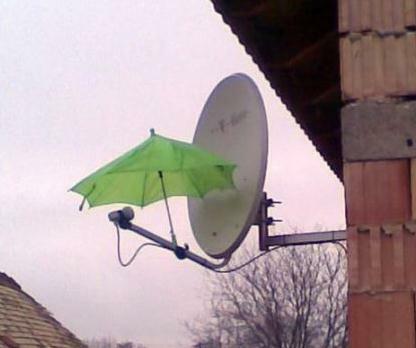 Satellite Goes Out In The Rain? I can fix that. 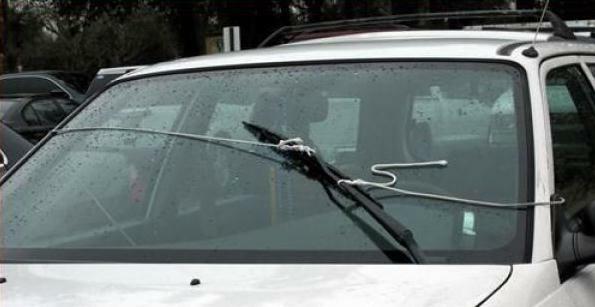 Wiper Motor Burned Out? I can fix that. 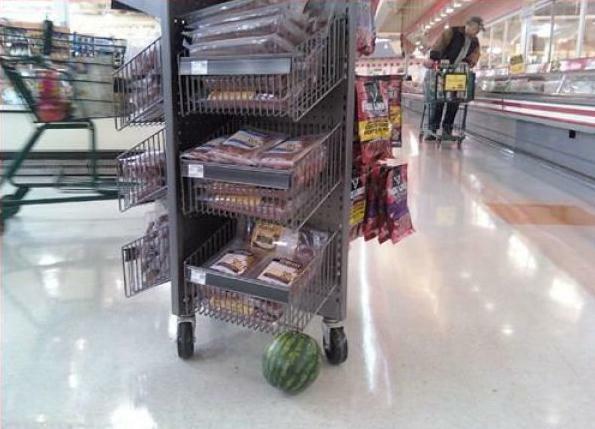 For more funny (and slightly horrifying) examples of kludges and outrageous FAILS click here. As Good As It Gets In May. Under a flawless sky - and some patchy early-morning frost - the mercury reached normal levels across most of Minnesota, ranging from a raw 48 at Grand Marais to 68 in St. Cloud and 69 in the Twin Cities. International Falls saw a balmy 72, the result of darker pine trees across northern Minnesota; a lower albedo which warmed the air above the ground. Only in Minnesota is it possible to get a sunburn on a Sunday, then wake up to frost the following morning. It's true that a few suburban daffodils and tulips froze their buds off Monday morning, the result of crystal clear skies and a dry airmass of Canadian heritage. That's probably it for frost - with a pending warming trend (70s imminent) you're OK to plant those tender annuals now. Famous last words. This might be a good time for a gentle reminder (to myself, as well as everyone else). The capacity to tan (or burn) has nothing to do with air temperature, and everything to do with the date; the sun angle overhead. Sunday, with a misleadingly cool breeze, I wound up with a memorable sunburn. And no wonder: the Summer Solstice is roughly 5 weeks away, the sun is as high in the sky as it ever gets in the coming weeks. Stunning spring weather lingers into Thursday; the next slow-moving storm pushes a pinwheel of showers and T-storms into Minnesota Friday. Instability showers & PM "pop-up" storms linger into Sunday, but at least it will be a lukewarm rain. If the sun stays out for a few hours this weekend highs may approach 80. You may actually be able to work up a minor sweat! under a higher and lower emissions scenario. Source: U.S. Global Change Research Program, 2009. America's Climate Choices. The National Academy of Science, the National Academy of Engineering, the Institute of Medicine and the National Research Council recently collaborated on an exhaustive study that states (once again) that climate change is no longer a theory, but a worldwide reality. The PDF summary is here: "Climate change is occurring, is very likely caused primarily by the emission of greenhouse gases from human activities, and poses significant risks for a range of human and natural systems. Emissions continue to increase, which will result in further change and greater risks. Responding to these risks is a crucial challenge facing the United States and the world today and for many decades to come. Rationale for Action: The estimate of risk of any given event is typically quantified along two dimensions—the probability the event will occur and the magnitude or consequences of the event. The risks posed by climate change are complex because they vary widely in terms of what populations, regions, and sectors are affected and at what point in time, and even in terms of how risks are perceived based on personal values and judgments. 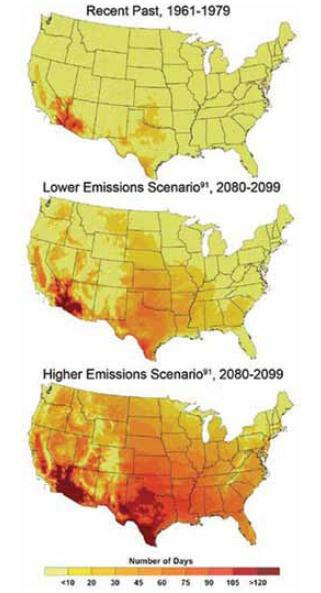 Although there is some uncertainty about future risks, changes in climate and related factors have already been observed in various parts of the United States; and the impacts of climate change can generally be expected to intensify with increasing greenhouse gas emissions (for example, see Figure 1). Some projected future impacts of most concern to the United States include more intense and frequent heat waves, risks to coastal communities from sea level rise, greater drying of the arid Southwest, and increased public health risks." Wegman Scandal Rocks Cornerstone of Climate Denial. The climate deniers are on the wrong side of history - and science. From USA Today: "Evidence of plagiarism and complaints about the peer-review process have led a statistics journal to retract a federally funded study that condemned scientific support for global warming." Climate Progress has the entire story here: "Climate science is a solid edifice built around the work of thousands of scientists, vast amounts of data, and countless peer-reviewed publications. As the National Academy of Sciences report put it, “Although the scientific process is always open to new ideas and results, the fundamental causes and consequences of climate change have been established by many years of scientific research, are supported by many different lines of evidence, and have stood firm in the face of careful examination, repeated testing, and the rigorous evaluation of alternative theories and explanation.” Climate denial is a house of cards, built around the sleight of hand of a few disinformers, deniers, and pseudo-scientists — who keep repeating the same falsehoods no matter how many times they have been debunked. 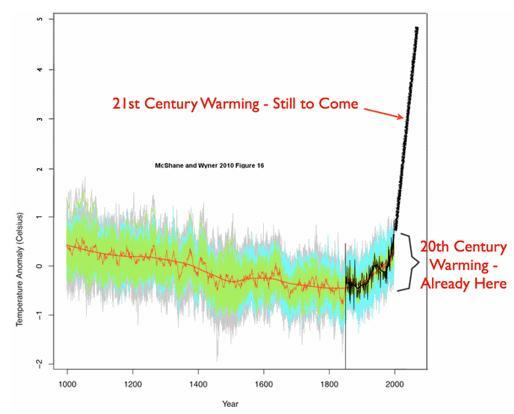 One of the most important, yet flimsiest, cards holding up the house is the attack on the so-called Hockey Stick research — multiple, independent lines of data and analysis that demonstrate recent global warming is unprecedented in magnitude and speed and cause (see “Two more independent studies back the Hockey Stick and below). Indeed, as WAG notes, within a few decades, nobody is going to be talking about hockey sticks, they will be talking about right angles or hockey skates (see chart above). A cornerstone of the disinformer’s ultimately self-destructive attack on climate science is a 2006 report, commissioned by Rep. Joe Barton (R-TX) and Rep. Ed Whitfield (R-KY), and led by George Mason University statistician Edward Wegman, who is now himself under investigation by GMU (see Experts find “shocking” plagiarism in 2006 climate report). You can find all the details you could want about the shoddy analysis of the report at Deep Climate — including his “methodical demolishing of any hint of statistics” in the report, as John Mashey puts it in the comments." ..."Climate-change deniers, in other words, are willfully ignorant, lost in wishful thinking, cynical or some combination of the three. And their recalcitrance is dangerous, the report makes clear, because the longer the nation waits to respond to climate change, the more catastrophic the planetary damage is likely to be — and the more drastic the needed response." 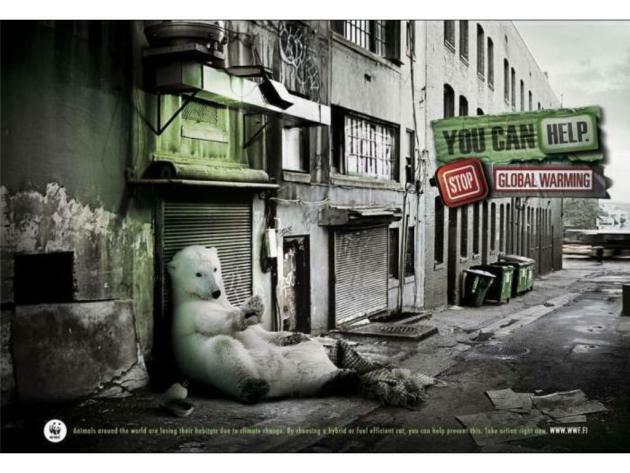 "What will it take to convince people that the world’s climate is changing and that we are causing it to change? Will it be this latest flooding of the Mississippi River, brought about by record April rainfall in the Ohio River Valley and very high levels in other states, killing at least 18 people, flooding millions of acres of farmland, and causing untold misery and economic hardship? Will it be that 90 cities in the United States and 19 countries around the world posted record-high temperatures in 2010? Or last year’s historic heat waves, droughts and fires in Russia and flooding in Pakistan and Australia, which together killed an estimated 17,000 people? The year 2010 was tied with 2005 as the warmest year for our planet on record, since global temperatures were first accurately measured in 1850. It was also the wettest. There is no longer any serious debate among the world’s leading scientists, including our own, that our excessive burning of fossil fuels is warming the Earth and resulting in extreme, wildly fluctuating and increasingly unstable changes to the world’s climate: torrential rains and flooding and more severe storms in some areas, heat waves and droughts in others. 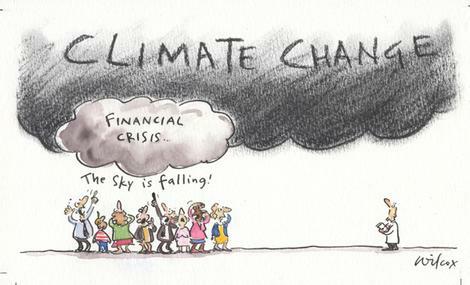 When will we wake up to the climate and public health catastrophe unfolding before our eyes and demand that our political leaders and representatives really do something to address it?" The writer, a doctor, is director of the Center for Health and the Global Environment at Harvard Medical School. 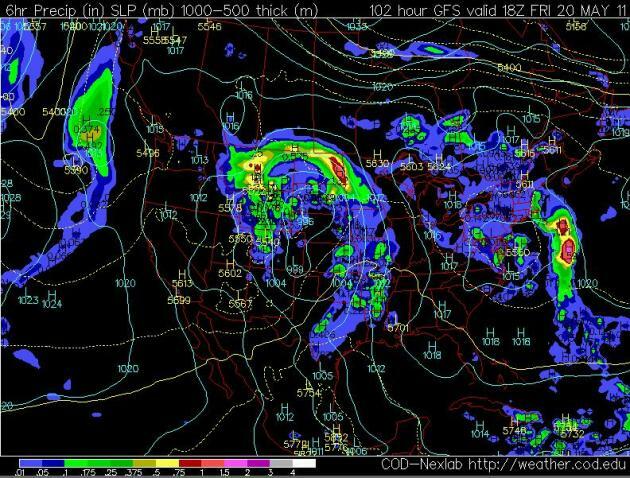 Weather Disasters Evidence Of Global Warming? 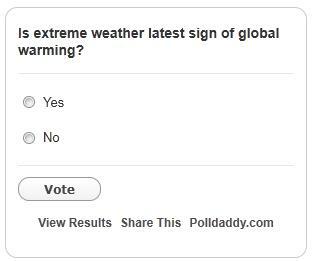 The Palm Beach Post has a story that actually allows the reader to VOTE on whether they believe that extreme weather is linked to climate change. Yes, let's ignore the climate scientists and put it up to a vote. Sounds like a smart move to me: "The Mississippi River valley is so inundated that the Army Corps of Engineers has had to open floodgates that will flood whole regions in order to save New Orleans and Baton Rouge. Vicious twisters slashed through the South, killing people in Alabama, Arkansas and North Carolina. Colombia is experiencing record floods, and there have been weather-related disasters across the globe. 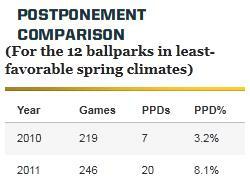 Locally, we’re having one of the worst droughts on record. Are all these weather extremes evidence of global warming? The NPR program “Science Friday” recently touched on that topic. Here’s part of host Ira Flatow’s discussion with climate scientist Peter Gleick, president of the Pacific Institute in Oakland, California. Dr. GLEICK: “Absolutely. Let me put it this way: Climate science tells us unambiguously that we’re changing the climate, and we’re trapping more energy in the atmosphere. We know that trapping more energy will cause more extreme events and will worsen extreme events that would otherwise happen." 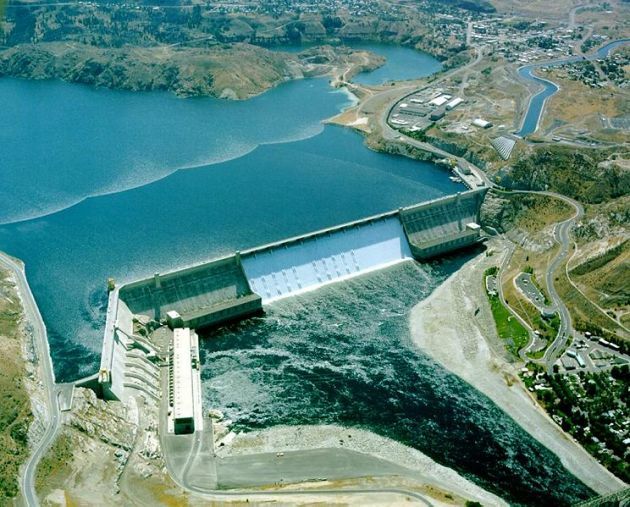 Hydropower's Resurgence And The Controversy Around It. The New York Times examines hydropower (electrical power via dams). It seems every form of electrical generation comes with baggage, but at least hydropower doesn't contribute more carbon into the atmosphere: "AUSTIN, TEXAS — Hydropower, a renewable energy source often overshadowed by excitement about wind and solar power, is enjoying something of a global resurgence. Huge, controversial dam projects have recently made headlines in Brazil, Chile and Laos. Many developing countries, hungry for energy to supply their growing economies over the long term, are determined to keep building more modest-sized dams too. Record amounts of hydropower capacity came online in 2008 and 2009, the most recent years for which data are available, according to Richard Taylor, executive director of the International Hydropower Association in London. “There has been, over the last decade, a dramatic increase in the deployment of new hydropower capacity,” Mr. Taylor said. The private sector, he added, has become more willing to provide financing for projects, which include not only the construction of new dams but also the modernizing of existing ones in places like Europe and the United States. The biggest new dams can cost billions of dollars. But the renewed attention to hydropower, which accounts for about 16 percent of the global electricity mix, comes with environmental red flags. More attention than ever focuses on people who face displacement, as well as the effects of new dams on land and fish."